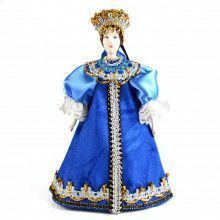 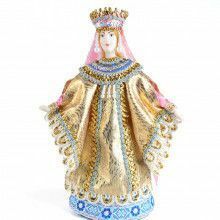 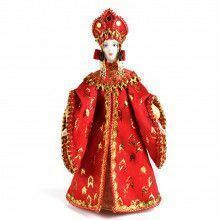 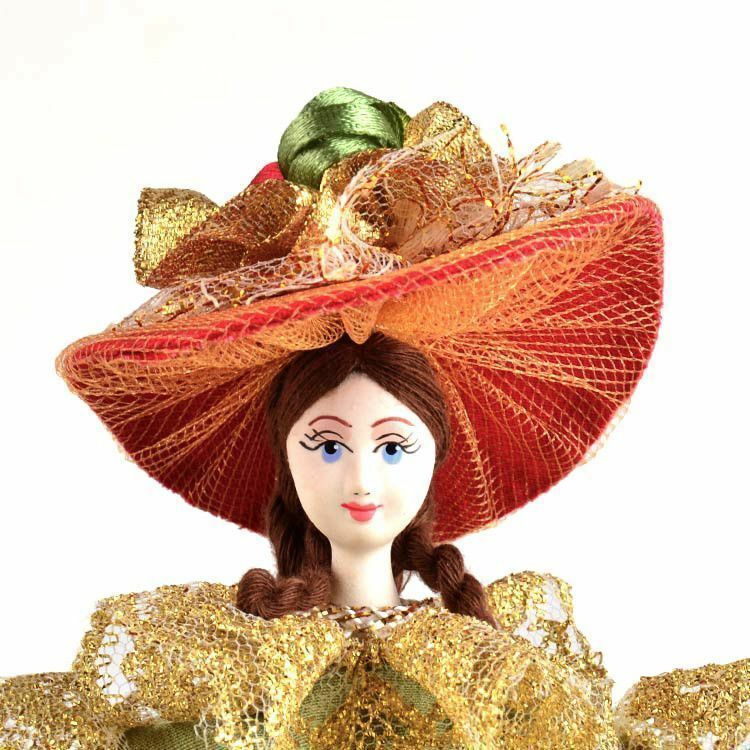 This Russian princess porcelain doll cleverly hides a secret compartment that could be used for a variety of things including jewelry. 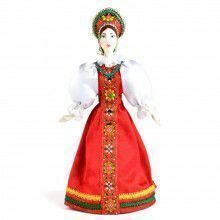 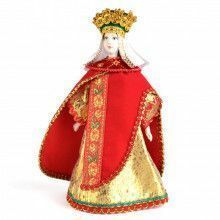 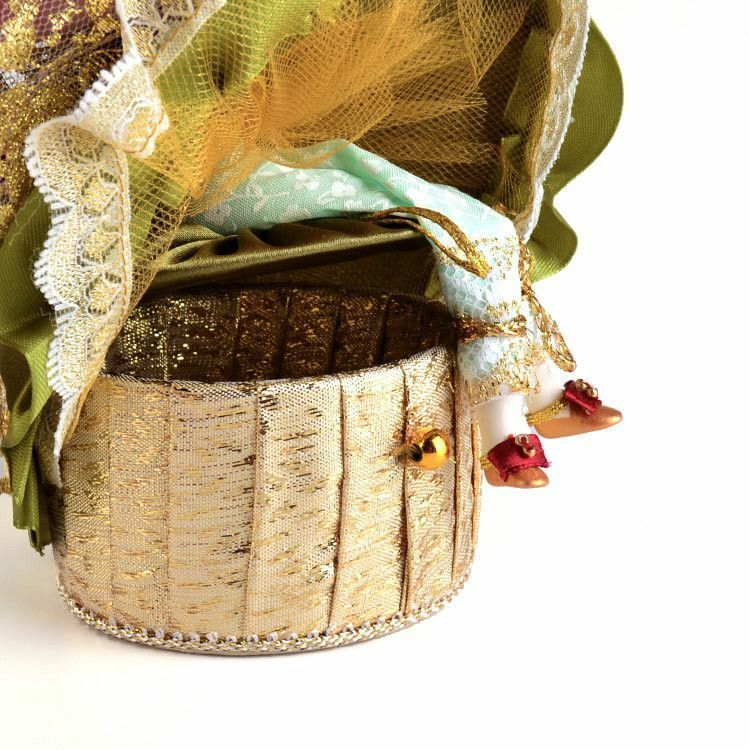 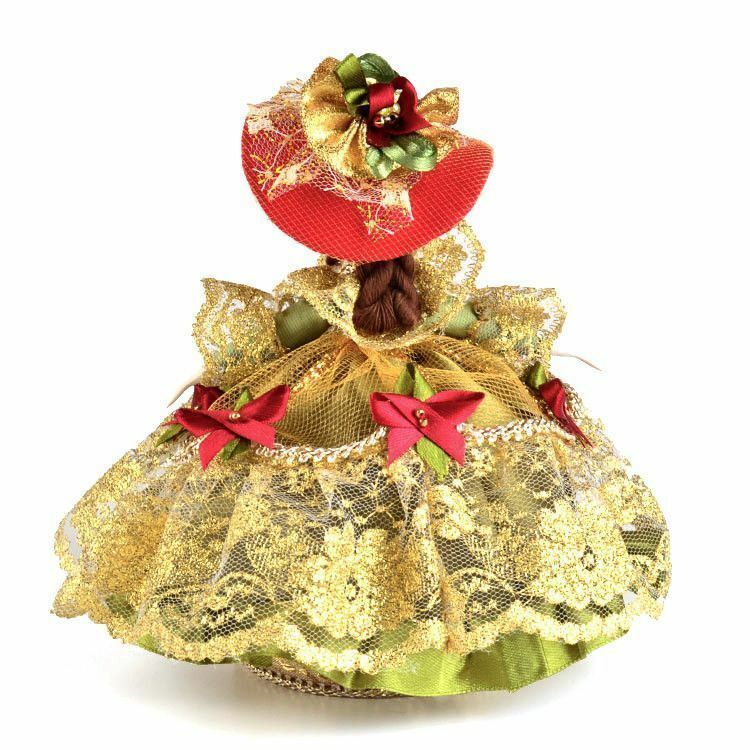 It features a handmade olive green and gold festive dress inspired by actual Russian royalty clothing from history. 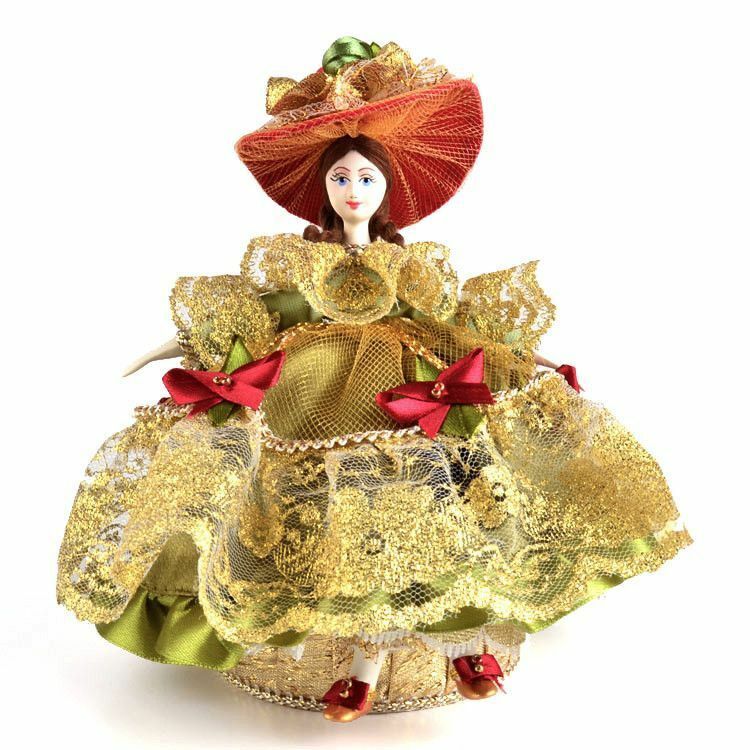 She has porcelain hands & feet, and a hand-painted porcelain face. 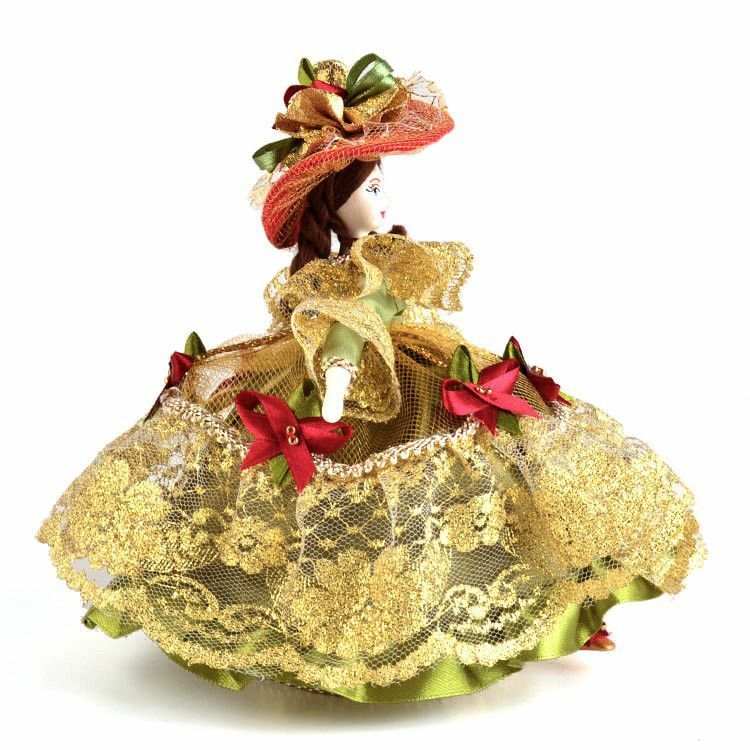 This doll is Approximately 7" tall and about 4" wide (with the box being 2" tall x 3" wide), and this doll would look great anywhere you put her!